In 2018 Bite Copenhagen had international visitors from 51 countries. To most people seaweed is just an annoying and unwelcome part of the summer bathing trips. But the slimy algae have nothing to be ashamed of, and today algae is increasingly invited to even the finest dinner parties. Bite Copenhagen 2019 adds world famous traveling exhibition to the menu! The international B2B-exhibition Bite Copenhagen 2019 attracts global attention to Copenhagen by adding Handmade Culinaria to the programme - a world traveling exhibition showcasing the best of German produce. Not only do we hold the culinary magnifiying glass over groundbreaking ideas and the Danish Bocuse d'Or qualification, the menu is also full of what we all enjoy the most of: everyday food. It is in everyday eating habits that there is the greatest potential for future sustainable food solutions. Denmark's next candidate for Bocuse d´Or will be found at a prestigious live event on August 28, 2019 at Bella Center Copenhagen in connection with Bite Copenhagen. The European Championships will take place in 2020 in Tallinn, Estonia. The second edition of Bite Copenhagen is over, and you have all had your share in creating the dynamic, inspiring and open atmosphere that has brought food professionals and decision-makers closer together. The international food fair is off to a flying start at Bella Center Copenhagen. And many great events are planned for Friday, so don’t forget to visit! In just 24 days Bite Copenhagen 2018 will open the doors to more 130 exhibitors. Visitors can expect a true Mecca of innovation, uncompromised quality and tasty new solutions at Bella Center Copenhagen 30-31st of August! Bite Copenhagen 2018 now open for visitor sign-up! Taste the food of tomorrow ! Register for free now and experience world-class exhibitors, innovative ideas, trends, talks and workshops. Bite Copenhagen 2018: Program and exhibitor list official! World-class exhibitors are ready to showcase the newest trends and solutions along with an exhilarating program of speakers and events. Ticketsale open for Bite Copenhagen 2018! Bite Copenhagen is a unique platform to showcase and manifest the latest trends within food, technology and innovation. 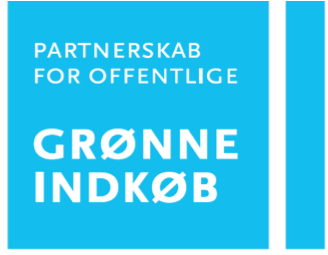 The partnership with the leading Danish industry organisations as well as Copenhagen Cooking & Food Festival underpins how strong the synergies between political, practical and public and private interests are, when it comes to the food of the future.